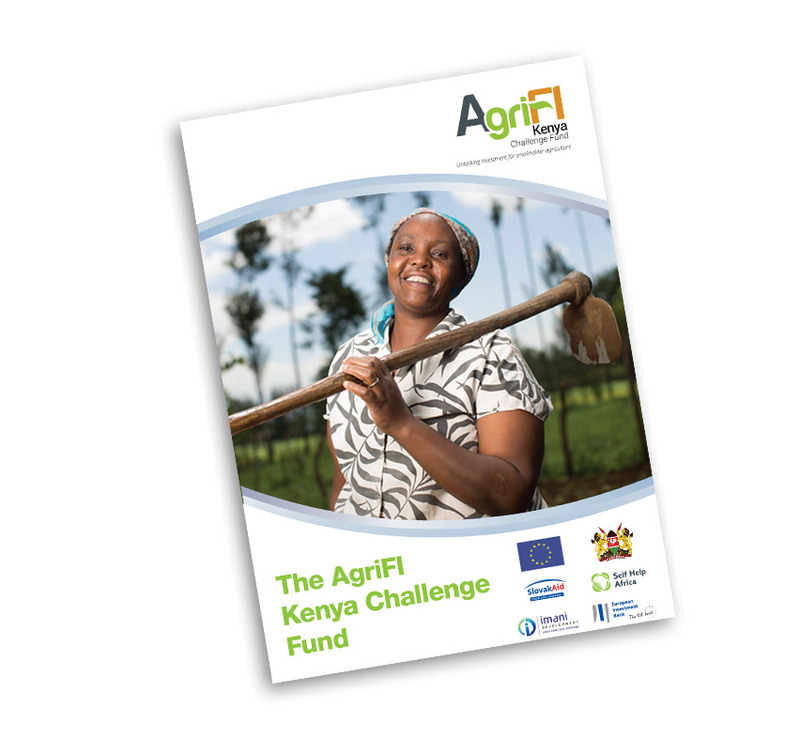 The AgriFI Kenya Challenge Fund is an € 18,000,000 initiative that supports productive and market-integrated smallholder agriculture through the provision of financial support to agri-enterprises. Funded by the EU, and co-funded by Slovak Aid, the fund is managed by Self Help Africa. The aim is to contribute to improvements in the capacity of smallholder farmers/pastoralists to practise environmentally sustainable and climate-smart agriculture as a business in inclusive value chains. The programme is being implemented in parallel with a planned EIB facility provided to local banks. Self Help Africa and Imani Development Limited are the Fund Managers for the programme. The Challenge Fund is part of the wider AgriFI programme in a financing agreement between the European Commission and the Government of Kenya under the 11th EDF signed in 2017 to unlock, accelerate and leverage investments within value chains. The funds specific objective is to integrate 100,000 smallholder farmers/pastoralists in sustainable value chains. By supporting and enabling at least 50 agri-enterprises to increase their turnover (by at least 25%), this will in turn increase incomes and food security for at least 100,000 smallholders/pastoralists and create a minimum of 10,000 jobs. The financial support will require match funding from the agri-enterprise making the application. The match funding may be through own resources available to the agri-enterprise or may be sourced through external finance such as credit or external equity investment. Match funding can also come from co-applicants. This assessment area looks at business revenue growth and market potential. In addition, the business capacity is assessed in terms of governance, financial and risk management. to include climate smart approaches both at farm and agrienterprise level. how will the applicant include smallholder farmers and pastoralists and increase their incomes, create employment opportunities. Other social issues assessed include food security and improved nutrition as well as inclusion of gender and youth in the proposed project. Creation of opportunities in Arid and Semi-Arid counties.